To be charitable, the government isn't known for having the most sophisticated websites. Unfortunately, the IRS isn't an exception. 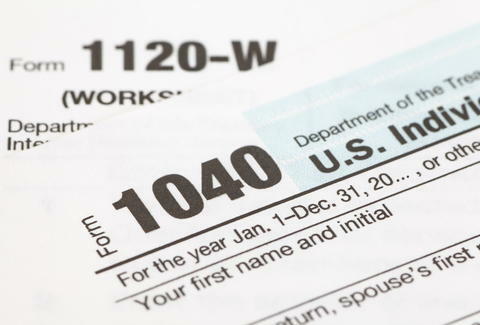 Anyone attempting to file their taxes online on Tax Day discovered that firsthand. Direct Pay, the IRS payment system, went down sometime early on the morning of April 17, the final day to file your taxes. At one point, a page displayed an erroneous message that said "Planned Outage: April 17, 2018 - December 31, 9999." The web failures may have been a boon for the Asprin industry, but caused a lot of frustration for taxpayers. In response, the IRS has announced taxpayers will now have until the end of the day on Wednesday to file their taxes without penalty. The electronic filing system came back Tuesday evening, but, for the majority of the day, it was down for anyone filing online or filing through companies like TurboTax or H&R Block. Both companies accepted filings even though the IRS site was not functioning correctly. They held the returns to be filed once the systems came back online. About 90% of the more than 120 million annual returns are filed electronically. However, only five million people file on Tax Day, so a majority of taxpayers have their paperwork in already. The IRS hasn't specified the source of the problem. However, spokesman Bruce Friedland said in a Tuesday afternoon statement that "all indications point to this being a hardware-related issue, not other factors," reports Bloomberg. One government source told the Washington Post that the failure "stemmed from internal technology failures." Another said it was caused by the large influx of people filing. Meanwhile, Bloomberg reports lawmakers were scheduled to vote on a package of bills to help the agency modernize. That includes updates to its information technology systems. Timing is everything.